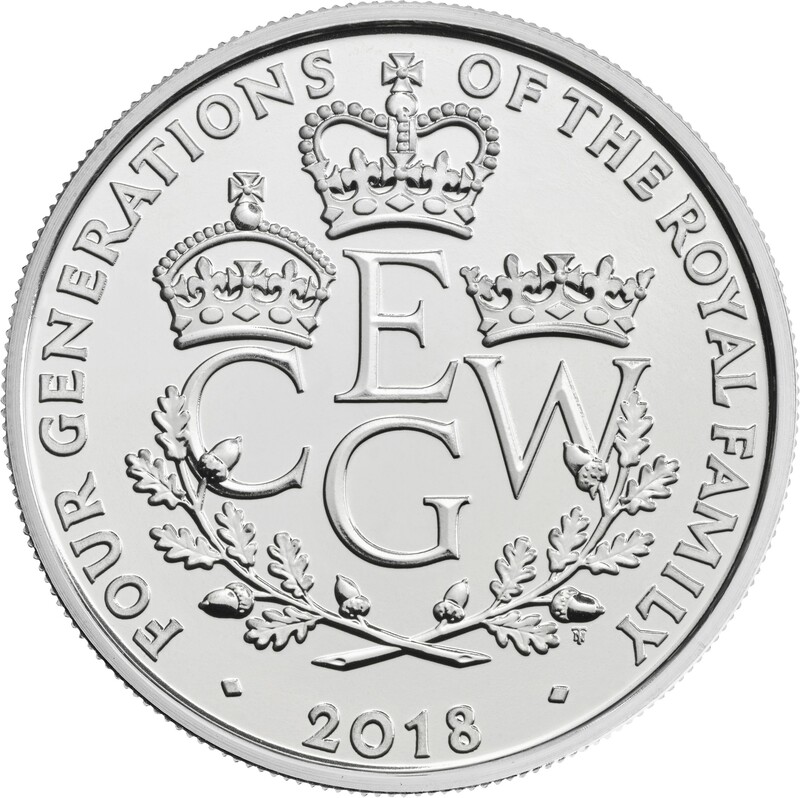 The Royal Mint has launched (29th January) a new five-pound crown coin in recognition of the rare instance of four generations of the royal family who are in line to the throne, which is presently held by Her Majesty Queen Elizabeth II. Not since 1894 has there been four generations of the royal family who were in succession to the throne at the same time. 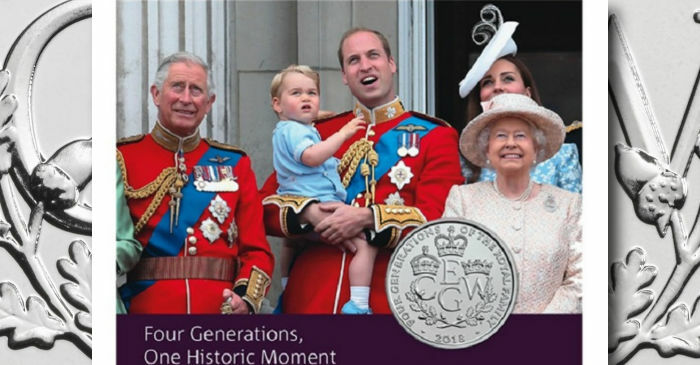 The last time this happened was during the birth of HRH Prince Edward Albert on the 23rd June 1894, later King Edward VIII, who was the eldest son of the Duke of York, HRH Prince George (later King George V). This occurred during Queen Victoria’s long reign of more than 63 years — the first documented instance of four surviving generations in royal English or British history. Cupro-nickel Brilliant Uncirculated coin. Hover to zoom. 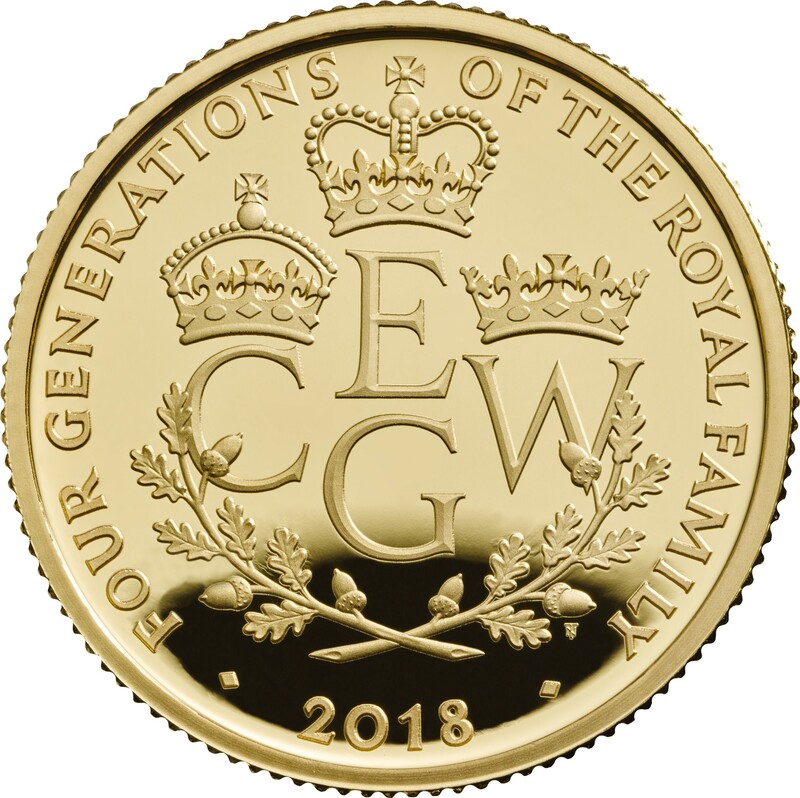 The reverse design was created by calligrapher and heraldic artist, Timothy Noad, and features branches of oak placed under the collection of initials of each of the current four generations of sovereigns and future sovereigns. The initial of the Queen, E, is crowned with a representation of St. Edward’s Crown, symbolising her majesty and position as sovereign. The initial C, representing Prince Charles, is adorned with a smaller crown in reference to his position as heir to the throne. The initial W, representing Prince William, the Duke of Cambridge, is topped with a coronet — just one position below his father. The initial G, for Prince George, is without the designation of a crown or coronet. 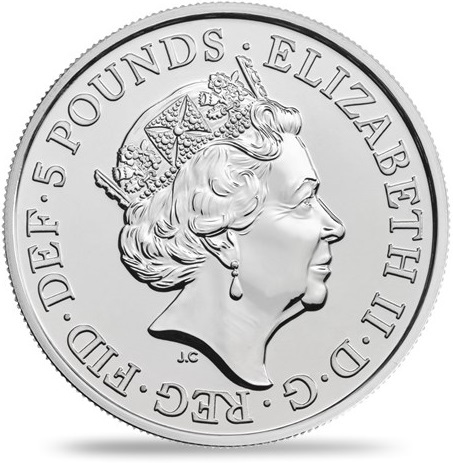 The coins are minted in various options, including a cupro-nickel Brilliant Uncirculated crown, a silver Proof traditional crown, and a piedfort (or five-ounce) coin with a face value of 10 pounds. 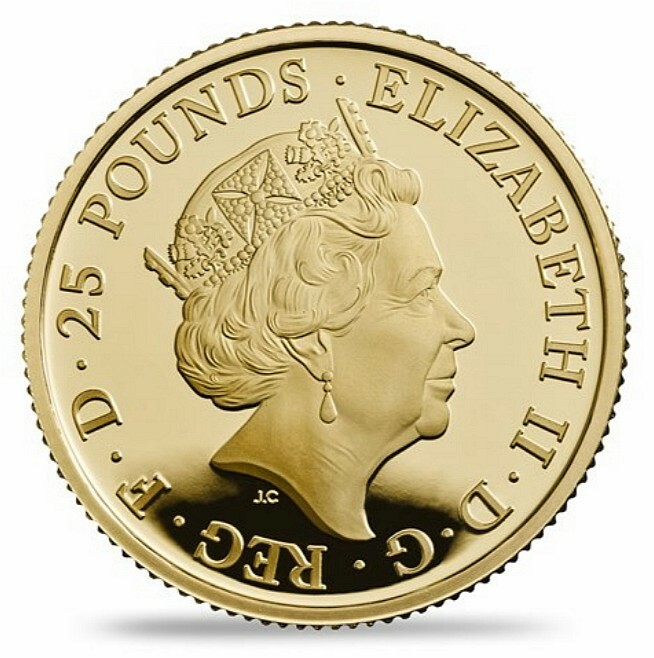 The gold options include the traditional five-pound coin, a five-ounce Proof coin with the face value of 10 pounds, and a 25-pound Proof coin. The coins are available as separate purchases. 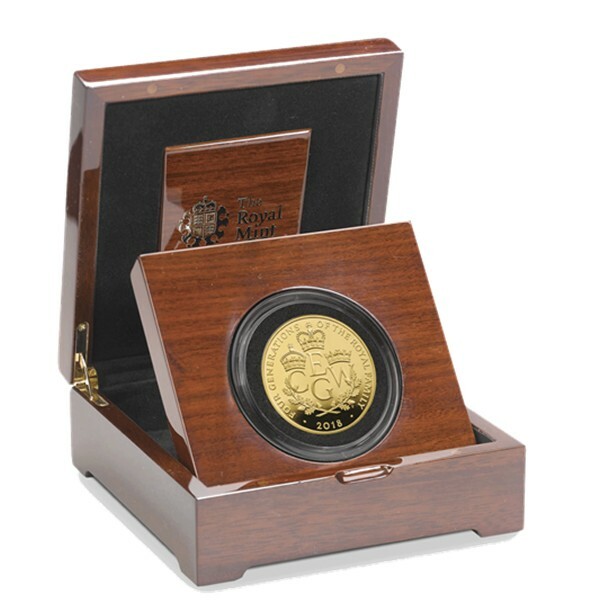 For additional information on these and other coins available from the Royal Mint, please visit their website.